Sort the pieces by colour or shape into the 6 handy trays - that way you won't lose any! 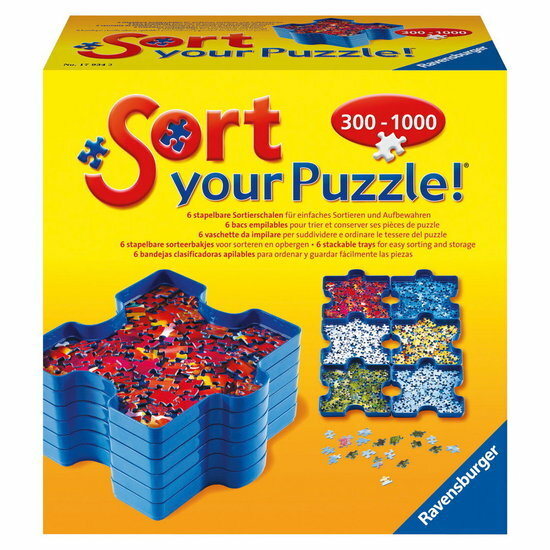 Connect the trays together for easy organisation of the sorted pieces. The unique stacking system compactly stores all your loose pieces between puzzle sessions so you can free up your table for other activities. The stacked trays can be securely stored in the box for safe transportation. The most convenient puzzle accessory ever!